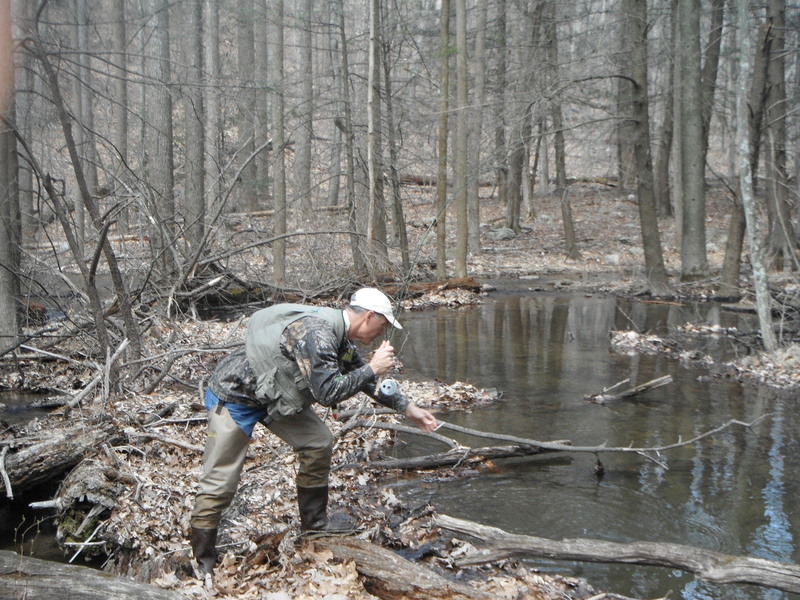 Broad Run is a “class A” wild brook trout stream located in Lower Horse Valley. Since the water levels have come up in other streams, Tim Brookens and I decided to give this little gem of a stream a shot today. 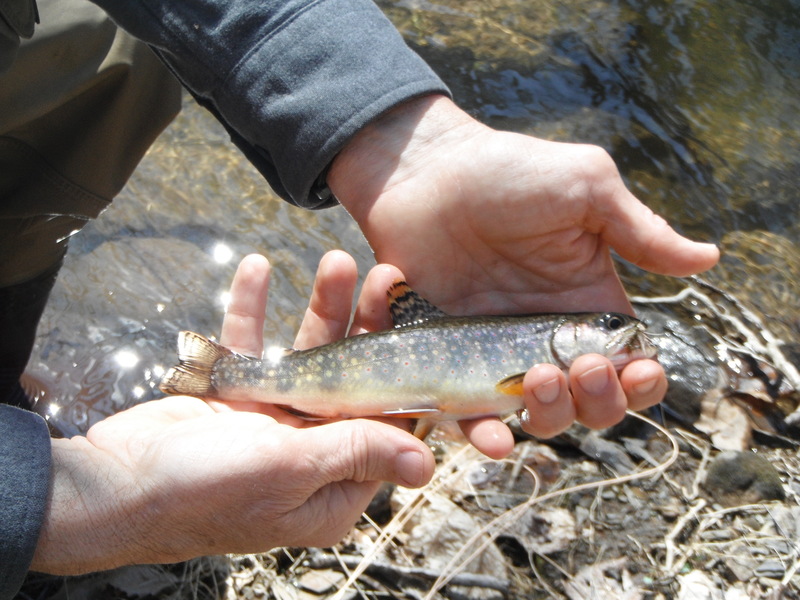 We caught over 40 of these wild beauties and a few in the 9-10 inch category. Small rods and short casts are the ticket and even then be prepared to catch some limbs based on the tight casting situations. Tim used a 6′ glass Cabela’s rod and I used my 7′ cane pole. To get there take the mountain road toward Bear Valley from Main Street Fort Loudon. Quiet, no people and lots of fish…give it a try! Great article. Great pictures. Looks like a beautiful place to fish. Thanks TJ. Broad Run is beautiful. It was the 1st time for Tim…he really enjoyed himself.